Massimiliano Mollona appointed Programme Director of the Athens Biennale 2015–2017. Massimiliano Mollona has been appointed Programme Director of the next edition of the Athens Biennale which is symbolically titled OMONOIA(Concord) that will launch in October 2015 and –contrary to the usual biennial model– run through 2017. The Athens Biennale 2015–2017, reimagining the institution of biennales, revises its identity and extends its duration. Bridging the past with the present and the future, the fifth edition of the Biennale (2015) merges with the sixth (2017). Massimiliano Mollona will lead the Athens Biennale for the next two years, running a daring and experimental programme which highlights the current views on contemporary art and unfolds in three strands of debate and research intervention: the emergence of alternative economies, the performative in the political and the establishment of institutions that redefine existing structures. 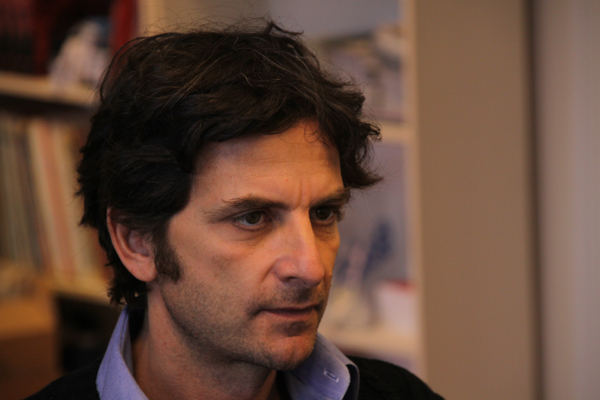 Massimiliano (Mao) Mollona is a writer, filmmaker and anthropologist. He is senior Lecturer in the Department of Anthropology, at Goldsmiths College, London. He has a multidisciplinary background in economics and anthropology and his work focuses on the relationship between art and political economy. He conducted extensive fieldwork in Italy, the UK, Brazil and Norway, looking at the relationship between economic development and political activism through participatory and experimental film practices in favelas and poor neighborhoods. His practice is situated at the intersection of pedagogy, art and activism. He is a member of the collective freethought and editor of Focaal Anthropology and Visual Anthropology (AVA) Blog.